It’s 2018, and the future many dreamed of is here; the only thing missing are hover boards and flying cars. It’s an exciting time when your home now prepares for your arrival and multiple technologies combine to let you know when you need to stop at the store and what to pick up while there. The Internet of Things (IoT) keeps people connected and simplifies modern life – it can even save a bit on electric bills. To switch up the old spring cleaning routine, think about setting up a safe, energy-efficient smart home to celebrate the change of season! Below are a few items to consider as you transform your home into a science fiction-worthy dwelling. Smart door locks and doorbells: How would you like to open your door for a guest while you’re stuck in traffic? By replacing your entry locks with Wi-Fi-enabled smart locks you can do just that. These locks can be connected to smart doorbells equipped with cameras, which let you see who is at the door when you’re not there. Security cameras: In line with the doorbells, additional views of your home can be seen via strategically placed security cameras. Many brands have a smartphone app allowing you to check in on your home while at work or out of town for business or vacations. Smart bulbs:Smart light bulbs come in fun colors and some have multiple hues in one. These energy-efficient powerhouses can be set to turn on at a certain time or you can use your smart hub to run programs to prepare for your daily return home or to keep your schedule while you’re away. Many styles are energy efficient and even combat the blue light effect, known to disrupt sleep. Refrigerators: The kitchen is the heart of the home and of course, smart home products work there. You can see what’s inside your refrigerator without opening the door - or being at home for that matter! Brands like Samsung and LG have developed high-end smart refrigerators with touch panel screens on the exterior and cameras within. The screens can be used to connect to other smart home items and serve as a secondary hub. 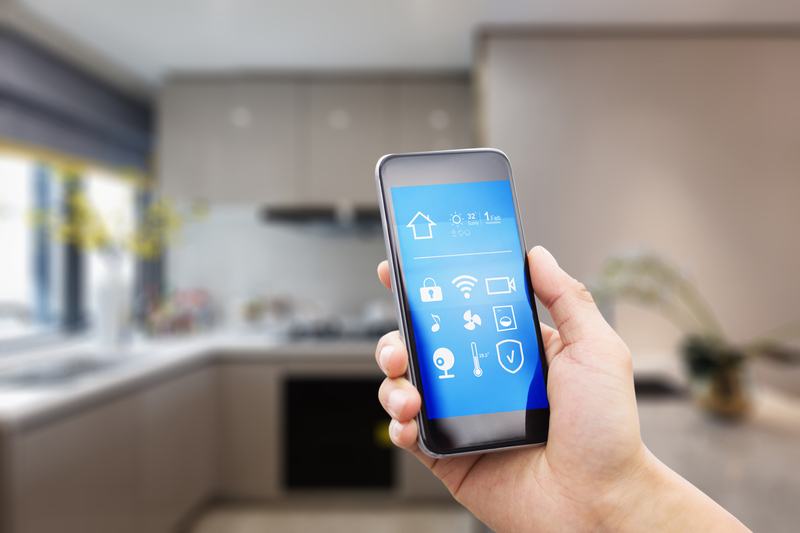 Connect your smart home There are many more smart items including televisions, vacuums, light switches and dimmer panels, coffee makers, dishwashers, pool cleaners and sprinkler systems. Most can be easily controlled via an application on your smartphone or home computer. These items can also be connected to make running your house at the touch of a couple of buttons a reality. That’s the power of setting up a smart home.